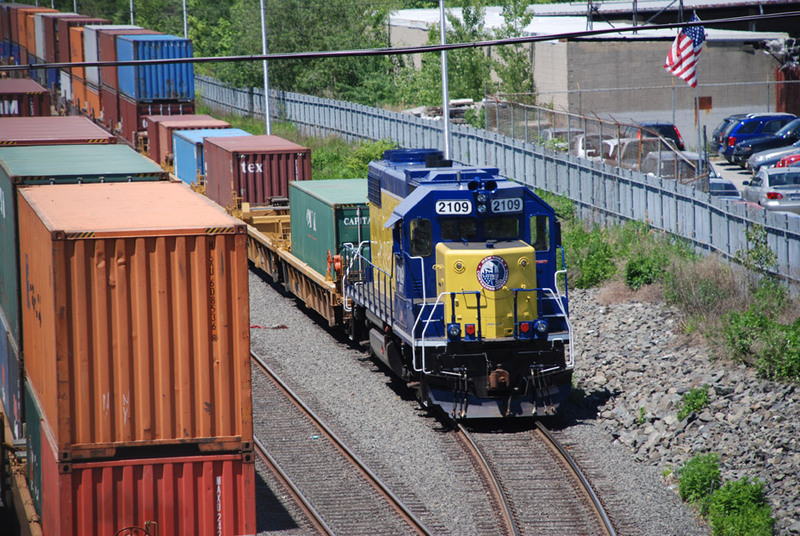 Notes: Container train weaving its way through the former Arlington Passenger station site. This is a freight only line now. Unit 2109 is Staten Island's own freight engine.